Research conducted by WWF and the Cambodian government in the Eastern Plains of Cambodia in the northeast of the country estimates the population of banteng between 2,700-5,700 individuals. This is the world’s largest population of banteng given the estimated global population is approximately 5,900-11,000. Populations in other sites in Thailand and Indonesia number just a few hundred. Besides banteng, the research also confirms increased numbers of other large mammals including wild pig and muntjac in the area. They are all very important prey animals for tiger, which have also suffered a massive decline across Cambodia and the rest of Asia in the last few decades. 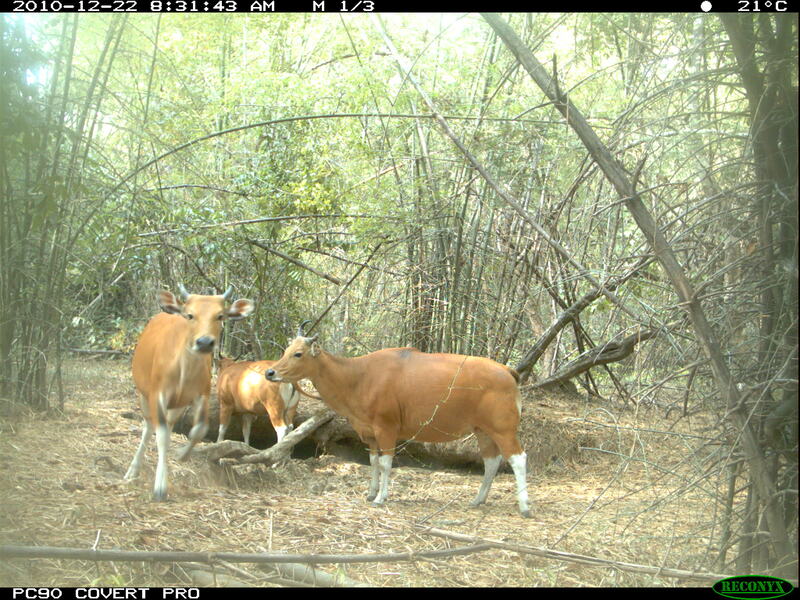 Group of banteng photographed by camera-trap in 2010 in Mondulkiri Protected Forest.